Is Preventive Care Different for Kids Than Adults? Great family dental care begins with a healthy preventive routine, starting with that first tooth. You know what you do for preventive care, but you might be wondering if you should be doing anything differently for your kids. Up ahead we’ll answer this question and more. The first line of dental defense for parents and children is at-home care. You and your kiddos should be brushing and flossing at least twice per day or after every meal. A fluoride rinse after your before-bed brushing is a great idea for adults, but for young children who may be tempted to swallow the solution, this part should be skipped. They’re still getting fluoride in their toothpaste. For both parents and kids, a healthy diet is an important part of maintaining a healthy smile. Excess carbs and sugars feed plaque-creating bacteria, so keep these minimal and stick with less sugary options. It’s popular to give small children fruit juice, but it has loads of sugar. Instead, try watering it down until it’s 50% juice, or skip it altogether. For the very best family dental care, schedule visits for every member of your family every 6 months. This will ensure that you catch any problems early – before they become painful! Your child’s visit may not include a fluoride treatment, depending on their age. Unlike your visit, theirs will include a check for oral development. X-rays should be part of the visit for both kids and adults. It allows dentists to check for signs of problems that they couldn’t see otherwise. They’re typically done once per year. Not everyone needs these, but they can be a helpful tool in preventing dental issues like decay. 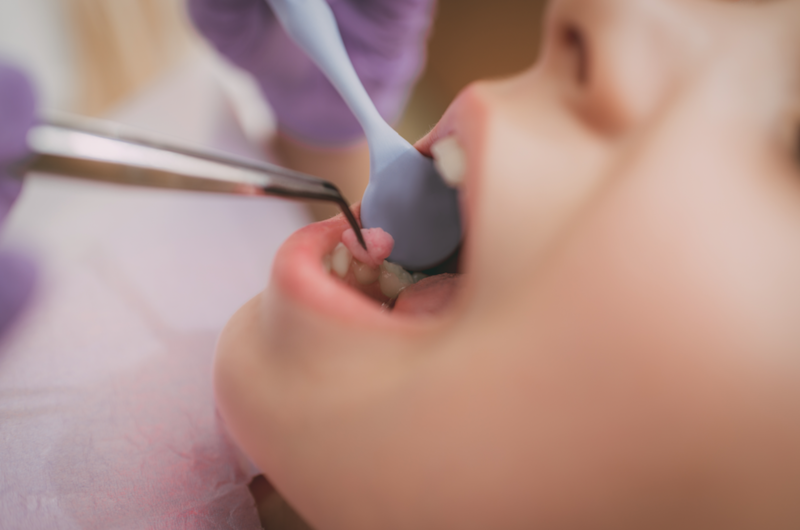 It’s a simple process where a layer of sealant is painted onto the teeth to act as a protective barrier. It especially helps those back teeth, which are often hard to reach. While there are some differences in preventive care for children and adults, the general idea is the same: brush, floss, stick to a healthy diet and see your dentist regularly. Doing all of these things will ensure healthy smiles for the whole family!